KITENDE – Like it was earlier promised, Vipers SC have named Kenyan born tactician Michael Nam Ouma as their Head coach on an interim, replacing Mexican Javier Martinez who was fired on Saturday evening. Ouma will work with a team of five which consists of Moses Oloya as the goalkeepers coach, Edward Ssali as the trainer and Ram Nyakana as the strength and endurance coach. The fifth member of the technical bench will be named by the club hierarchy in days to come. Nam Ouma has previously worked with Posta Rangers, Talanta FC and now defunct clubs Agro Chemicals and Karuturi Sports in Kenya. He becomes the fourth foreigner to take helms at the three times league champions after Nigerian Ambrose Duru Chukuma (2012), Portuguese Jorge Miguel Da Costa Duarte and Javier Martinez Espinoza. 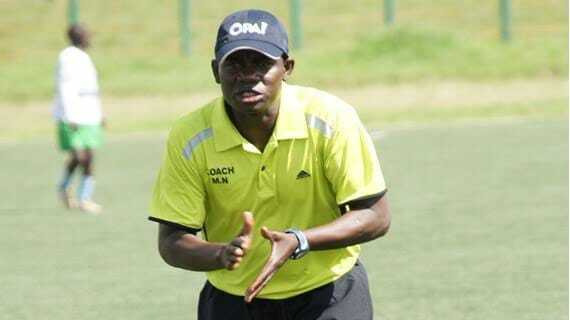 Ouma who also orchestrated Noah Wafula’s move to Vipers in August, has however not coached a top flight team in Kenya in the past seven years. He started his tenure at Kitende with an evening training session on Sunday 30th December as the Venoms prepare for their next league game against URA FC on January 2nd at Namboole.